Mr Tegetmeier starts with a very controversial proposition regarding the origin of the turkey as a domestic animal. The origin of the Turkey of our farm yards is, like that of many other of our domestic animals, a matter of very considerable uncertainty. If there is one fact more clearly ascertained respecting the Turkey than another, it is that it is certainly not descended from the common wild American species, as is generally stated by the compilers of the greater number of our works on poultry. 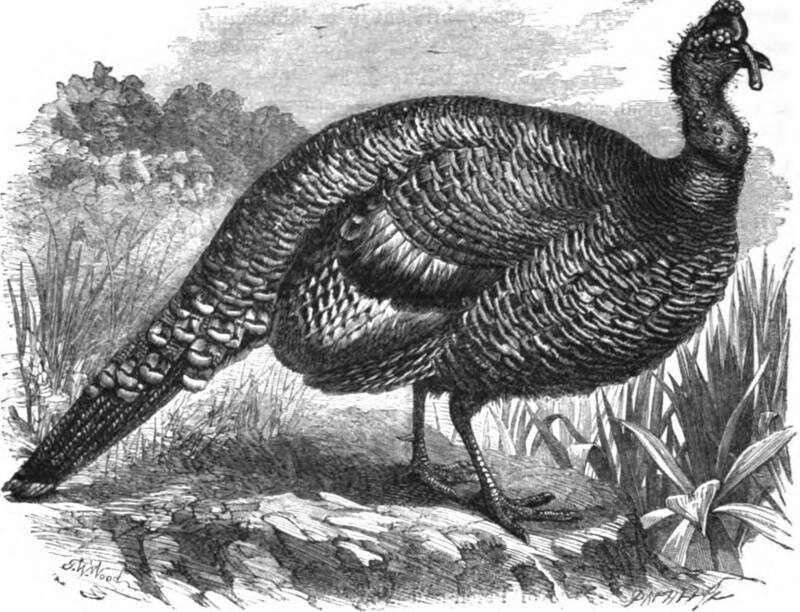 The different wild species of the genus Meleagris, known to naturalists, are only three in number:—the Wild American Turkey, common to Canada and the United States, M. Americana; the Mexican species, M. Mexicana; and the Ocellated Turkey of Honduras, M. Ocellata; and in addition, we have the tame bird, M. Gallopavo. ” When full grown, the male will measure four feet in length and nearly five feet in the stretch of its wings. The naked skin of the head and neck is blue, with the wattles red, as are also the legs. The feathers of the neck and body generally are a coppery bronze, changing in some lights to a greenish or purplish shade, and margined with an opaque line of velvet black. The back and rump are also black, and tipped with a light chestnut. Near the end is a band of black, broadest on the outer feathers, and narrowing as it approaches the central ones. Between the bars on the feathers is a confused sprinkling of black. Neither upon the tail nor its coverts is there any white, and this is one of the means by which the wild bird can always be distinguished from the domesticated. 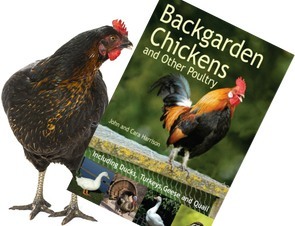 We need hardly state that this lovely species, which, could it but be naturalized, would be so great an ornament to our poultry yards, has no claim to be considered as the origin of our domestic species; and we can only fall back upon the hypotheses of Mr. Gould or Professor Baird. 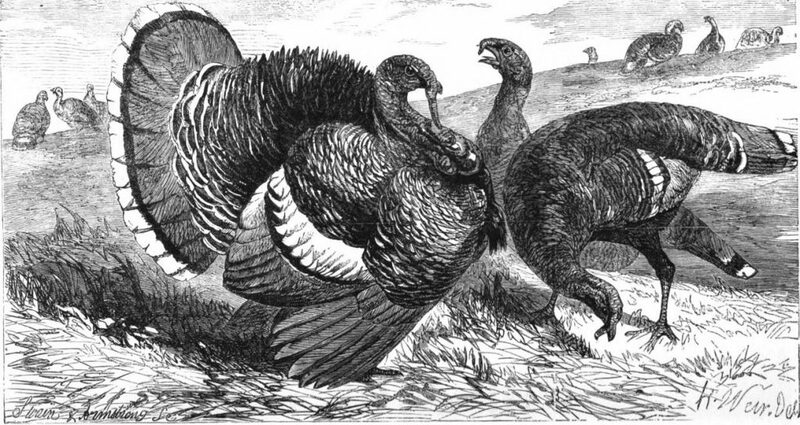 Professor Spencer Baird, one of the highest scientific authorities on ornithological subjects, in his great work on the birds of North America, states distinctly that ” the wild turkey of Eastern North America differs in several points, both in structure and manners, from the domesticated birds : the latter possess a large dewlap, extending from the base of the lower jaw to the large caruncles on the lower part of the neck. ” The domestic turkey, even those showing the closest resemblance to the wild birds, may always be distinguished by a whitish tip to the tail, and by the tail coverts being edged with whitish, which is never seen in the wild bird. ” Again, the wild turkey is stated never to have been so domesticated as to breed in confinement, notwithstanding the repeated efforts made to accomplish this result; again, the difference of the colour of the flesh in the two birds is considerable, that of the wild bird being much darker. Professor Baird supports the following hypothesis:—” That, in addition to the three well-known species of Meleagris, namely M. Ocellata, from Central America; M. Americana, the wild American species; and M. Mexicana, the Mexican species, there originally existed a distinct breed, the original of our domesticated breed; that this was indigenous to the West India Islands, and was transplanted as tamed to Mexico, and from thence taken to Europe in 1520; and that ultimately the wild original was exterminated by the natives, and no longer exists in the wild state.